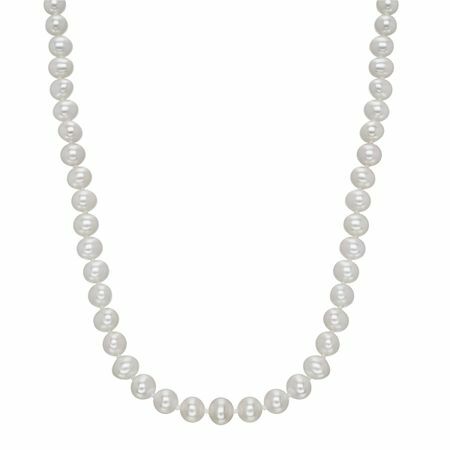 6 mm White Pearl Strand Necklace, 16"
For those who want the look of a classic pearl strand at a shorter length, this strand is perfect. 6 mm freshwater pearls are strung side-by-side all around the strand, finished with a sterling silver clasp. Piece measures 16 inches in length and features a lobster clasp.